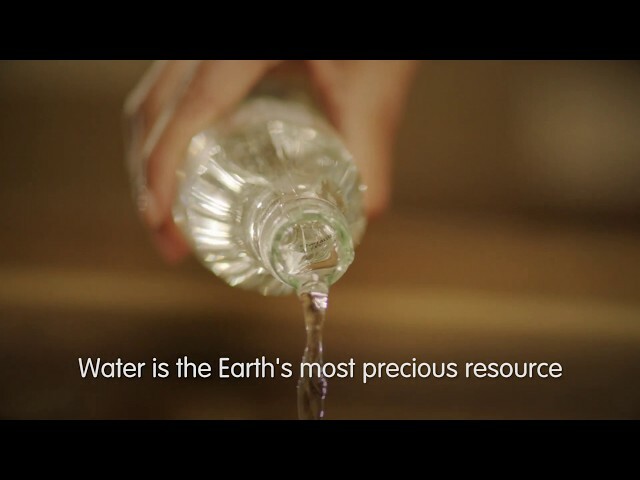 Water is essential to life, nature and our business. It's the first ingredient in most of our drinks, central to our manufacturing process and necessary to grow the agricultural ingredients on which we rely. That's why today, on World Water Day, we focus on the importance of fresh water and what we're doing as a company to protect this precious natural resource. At The Coca-Cola Company our water stewardship goals are focused on reducing the water we use to produce our beverages, recycling wastewater at bottling plants and replenishing every drop of water we use in our finished beverages. In 2015 we already achieved our 2020 global goal to give back every drop of water we use to communities and nature. In 2017 we exceeded our global replenish target, giving back 150%. That's an estimated 248 billion liters per year globally. In Europe in 2018, we replenished 181% of the water we use in our finished beverages. That's enough to fill the Empire State Building 47 times, or to fill 19,000 Olympic sized swimming pools. This was possible through dozens of local projects across Europe, with support from The Coca-Cola Foundation, and working with long-term partners. One such program is Living Danube, a seven-year partnership with WWF to restore vital wetlands and floodplainsalong the Danube river in Austria, Hungary, Bulgaria, Romania, Serbia, and Croatia. This international river basin is essential to the wellbeing of local communities, providing flood protection and recreation. In water-scarce regions such as Greece, Cyprus, Malta and Sicily in Italy, we are supporting rainwater harvesting, greywater recycling and water efficiency projects, and are raising awareness of water saving through our Non-Conventional Water Resources Program, in partnership with Global Water Partnership Mediterranean and local and national authorities. Last year we celebrated the tenth anniversary of this important partnership. © 2019 The Coca-Cola Company.